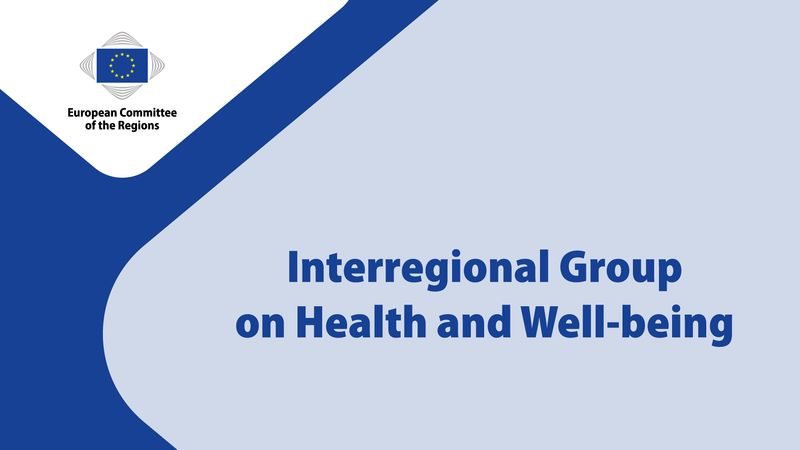 On 1 December 2017, an update of the initiative State of Health in the EU will be presented in the framework of the Committee of the Regions Interregional Group on Health & Wellbeing of which EUREGHA is the Secreterariat. “State of Health in the EU” is a two-year initiative by the European Commission in cooperation with the OECD, the European Observatory on Health Systems and Policies, and Member States. The aim is to boost analytical capacity and support Member States with their evidence-based policy making.The State of Health in the EU cycle includes four deliverables: Health at a Glance: Europe report, prepared by the OECD, country health profiles for each Member State prepared by the OECD and the European Observatory on Health Systems and Policies, a Commission paper to accompany the country health profiles and voluntary exchanges that Member States can request to discuss best practices and other findings from the State of Health in the EU. For more information about the initative, please refer here. On the Committee of the Regions Interregional Group on Health & Wellbeing meeting on the 1st of December, we will host a presentation of the country profiles by by Stan Van Alphen, DG SANTE, Lead Policy Coordinator of the State of Health in the EU cycle and head writer of its Companion Report and Willy PALM, European Observatory on Health Systems and Policies, Dissemination development Officer. This will be a unique opportunity to come and learn more about your own healthcare system and how it compares with the 27 others we have in the EU! At this occasion, also the CoR report on the role of local and regional authorities in the management of health systems in the EU will be launched. The meeting will take place on Friday 1 December at 8h00-9h00 at the Committee of the Regions building, room JDE 70. Interpretation will be available in Italian and Spanish.